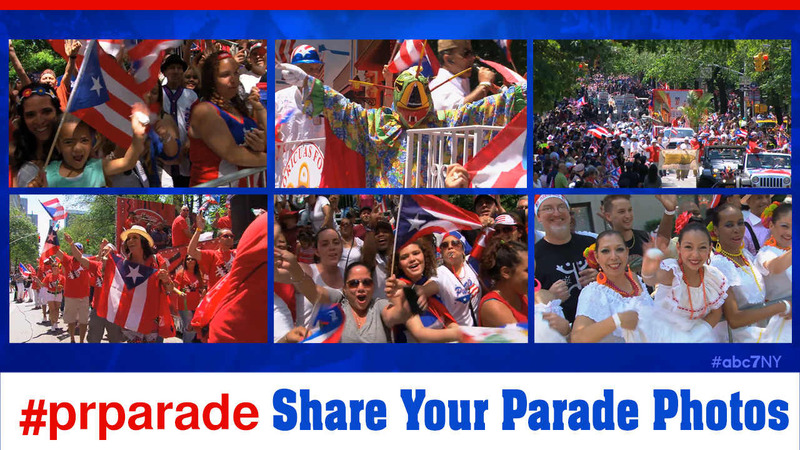 Share your photos from the 2016 National Puerto Rican Day Parade in New York City using the hashtags #abc7NY and #prparade. We may use those photos during the parade, here on abc7NY.com or on any of our social platforms. The 59th annual National Puerto Rican Day Parade takes place on Fifth Avenue on Sunday, June 12, 2016. WABC-TV will broadcast the parade and stream it live on abc7ny.com!